Whenever you arrived at your home sweet home after a stressful work, you should at least be able to feel its welcoming aura. A well-decorated wall will give you comfort and refreshed your tensed mind. So how are you going to adorn your walls? 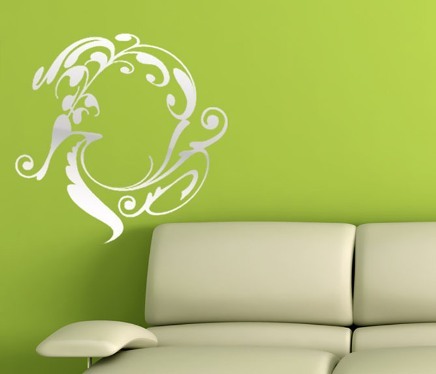 Undeniably, wall decoration is one important aspect of home interior designing. As a matter of fact, it can even transform your room into an attractive and relaxing place. However, you should have the eye for designs since decoration have the tendency to ruin the appeal of your room instead of making it fabulous. So if you are still in search for ways in wall decoration, then quit searching since you have already landed to the right page. Check out the following tips in transforming a dowdy wall into an attractive home interior. Loud wall paints and wallpapers are no longer in trend for interior decoration. Now, you can have wall prints that could help accentuate your room. These are poster-like artworks that will change your wall themes easily. There is no need to paint or renovate your room since you already have a printed masterpiece at hand for wall decoration. Your place will never be complete without a wall clock in place. This stuff will harmonize together with the other furniture such as curtains, sofa and many more. Besides, you have a wide range of options to choose from. It can be made from woods, plastics and metals. More so, it is also available at a variety of shapes, styles, sizes and colors. Indeed these pieces are artistically crafted to bring out an eye-catchy masterpiece. It will embellish your living room naturally. More so, the paintings posted such as beaches or flowers will definitely bring a calming ambience to the members of the family. Aside from wall paintings, you can also post family’s images. This will reflect you and your loved one’s personality. You can post single photographs or a collage of images. It is just your choice. Creating a welcoming and relaxing home sometimes just deem the need for creativity. Therefore, do what it seems to be right to accomplish an incredible wall decor. Good luck!